Identify women and minorities who need a career boost and show aptitude with computers. Give them 24 weeks of intensive, no-cost instruction. Throw in a free laptop for each student. Click! A homegrown supply of Web page designers, app builders and software developers enters a local economy starved for computing talent. 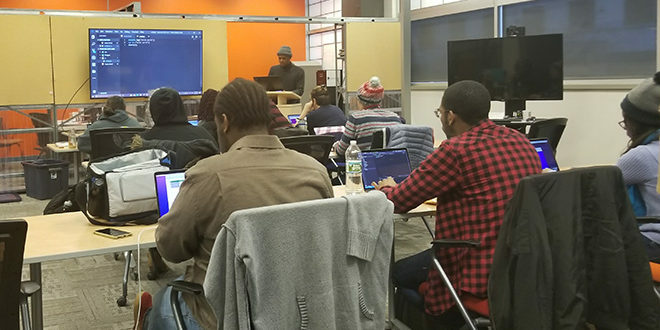 That’s the premise behind Hack Upstate’s code-writing bootcamp launched with 12 students in March at the Syracuse Tech Garden. 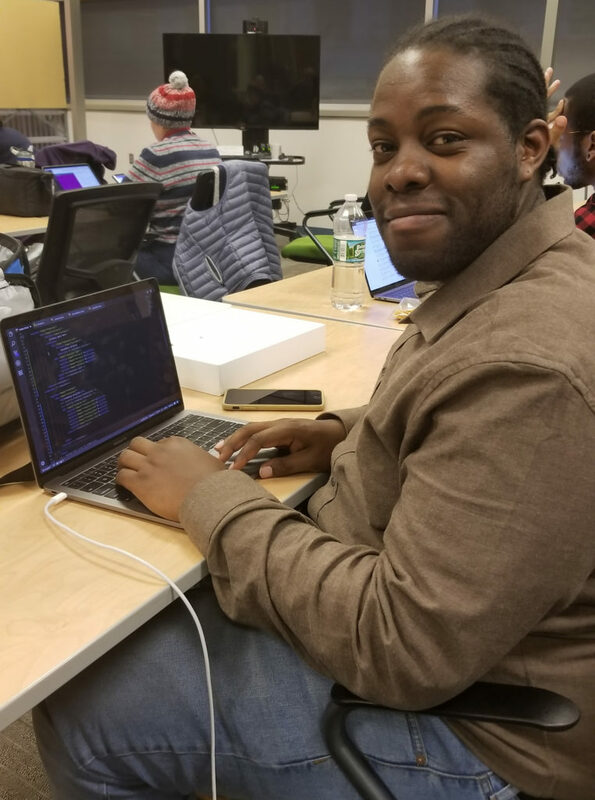 “We’re super-excited to see where they will go in their software development careers,” says Jesse Peplinski, a software engineer who along with Doug Crescenzi, co-founded Hack Upstate, a nonprofit established to advance the region’s tech community. Applicants were carefully-screened. More than 40 people initially applied, but the classroom was kept small and selective to assure a likelihood of success and make it easier to secure funding for another bootcamp next year. The stakes are potentially high. By partnering with municipalities, the private sector and various non-profits, Hack Upstate, aspires to place bootcamps throughout Upstate New York to address two long-festering economic poxes — poverty and a shortage of trained tech workers. Syracuse — centrally located, afflicted by chronic “brain drain” and ranking among the top 10 most impoverished cities in the nation — was a natural starting point. All students must complete “capstone” projects as part of the course requirements. The plan is to get the inaugural batch employed when bootcamp ends or even working as interns mid-session. Getting area companies and agencies involved early has the potential to shape the camps for years to come. The bootcamp runs Monday through Thursday for three hours. Students are assigned a “success representative” to help them negotiate any tricky passages. They’re also given a stipend for expenses. In exchange, they agree to remain in Central New York for at least two years. Classes are also live-streamed at Hack Upstate’s YouTube page. A reporter dropping in on the bootcamp on a recent Tuesday found enrollees sharing their capstone ideas, which ranged from an online art gallery to a “Sensory Syracuse” app proposed by Kelly Corey. Her app would make it easier for people with light, sound and scent sensitivities to learn about the sensory environments of local establishments before visiting them in person. “If it helps people get out in the community more, that can only be a good thing,” she said. Another student, South Sider Dana McMullen, has an impressive background in assistive technology for the disabled, having worked in the field at Syracuse University and Onondaga Community College. But when she tried to return to work after eight years of caring for her father with Alzheimer’s, she discovered her old jobs no longer existed, required degrees she didn’t have or that the salaries had dropped significantly. 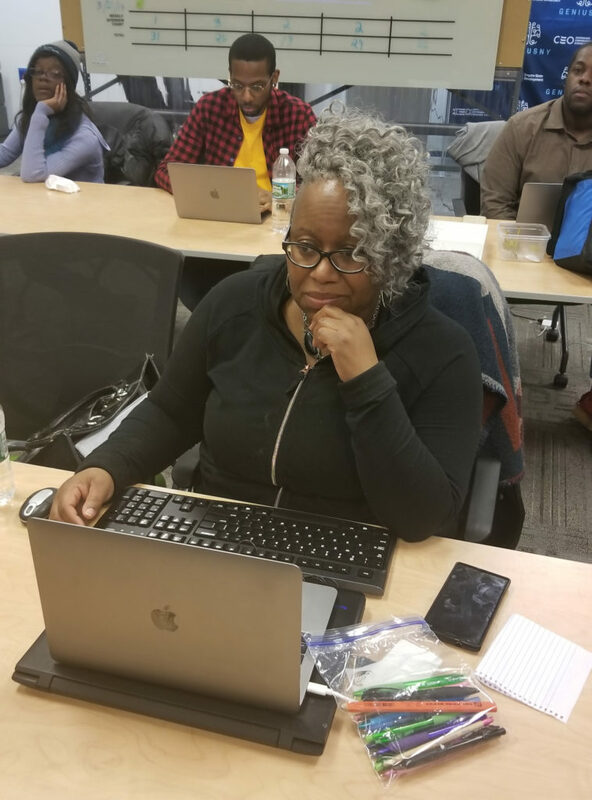 Completing the Careers in Code bootcamp, she said, will be a stepping-stone towards credentials that will cause employers to “take me more seriously. If you don’t have that degree, it locks you out of a lot of opportunities.” At bootcamp, she’s researching the feasibility of an app to make the Alexa voice-activated virtual assistant interact more fully with other apps to make them easier to use for people with disabilities. Dakir Thompson of Manlius has two capstones going. His cousin, Rashad Mustafa, who works at a pizza shop, showed so much talent as a painter that people started buying the pieces off his Facebook and Instagram pages. Now Thompson is building him a centralized Web store where his cousin’s artwork can be catalogued and sold. His other project involves building a more sophisticated Facebook page for Voices of Women CNY, formed in response to the election of Donald Trump. The group has 800-plus members and its founder, a close friend and mentor, needs a way to collect and organize member data online. The possibilities of that app are intriguing, but for these 12 bootcamp pioneers procrastination isn’t a problem. 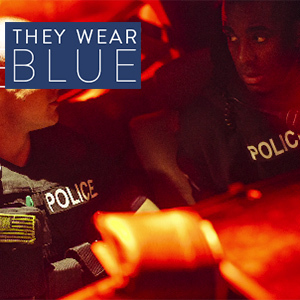 They’re too busy and too excited to crack the code on a new life. Thompson took computing classes for a year-and-a-half, but they were more theoretical than hands-on, he recalls.